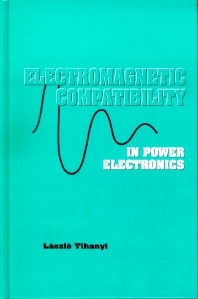 Electronics professionals will find this book invaluable when designing power equipment, because it describes in detail how to cope with the problem of electromagnetic interference. The author shows how to meet the exacting US and European EMC standards for conducted emissions. The book includes a wide range of EMI analysis techniques. An important focus is on the energy content of interference transient signals (traditional analysis concentrates on amplitude and frequency). This provides a more accurate picture of the EMI situation. For those who do not want or need detailed analysis techniques, many approximation methods are also provided. These simplified techniques give accurate results for all but the most stringent applications. The book contains several worked examples and an extensive bibliography, and is sure to be useful to electronic design engineers and others who need to meet international EMC regulations and standards. Laszlo Tihanyi has worked on EMC for over 20 years. Formerly Head of the Department of Power Electronics at the Hungarian Research Institute for the Electrical Industry, he focused primarily on solving EMI problems in electronic systems and developing a dimensioning method for power line filters.